Mao and Bo’s fingerprints are all over Xi Jinping’s new campaign to cleanup the Party. On Tuesday, Chinese President Xi Jinping spoke to members of the Chinese Communist Party and placed a Maoist stamp on his ethics campaign – calling upon one of the Party's oldest slogans: the "mass line." Although this is a logical progression from Xi's established focus on official behavior, the term is a very dramatic choice. Not only does the term harken back to the revolutionary days of Mao Zedong, but also to the recent past of Chinese political infighting: it was also a favorite of the disgraced Party leader, Bo Xilai. 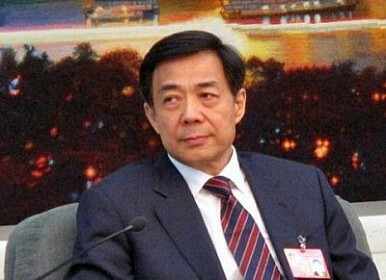 Under Bo Xilai’s former leadership in Chongqing, the mass line was enforced by quotas for face time with the public: village secretaries had to meet with their constituents at least once a week for at least half a day, while county leaders owed a full day once a month. Xi hasn't and almost certainly won't order officials to follow anything like this since detailed regulations for policies like this are not set at high levels – but Bo's model will have an influence as provincial and local officials aim to develop their own mass line policies. This is a remarkable afterlife for the ideas of a fallen leader – especially one who was expelled from the Party for failures of discipline. Bo still has at least a small collection of hard-core followers who are occasionally seen protesting his arrest on Weibo, China’s popular micro blogging website. It seems that Bo's ideas may be back – or perhaps, that they were never gone, and that his dismissal was caused by other factors. Certainly, Xi seems to have learned from his public relations techniques. The aim of the policy is clear: to maintain the legitimacy of the Party by reducing the obvious privileges of its members. According to Xinhua, Xi reminded Party members that "keeping the support of the people is a matter of life and death," using words that are fairly standard in speeches on ethics and corruption. Xi focused on personal ethics, telling his audience to "watch from the mirror, groom oneself, take a bath and seek remedies." In this way, the mass line seems to be a continuation of Hu's "advanced nature of the Party" campaign, which had officials joining study groups to examine their own characters. The plans announced so far are to implement a half year of intra-Party educational campaigns followed by a period of consultation and criticism. While some of Xi anti-corruption moves may well be PR stunts, the mass line is for Party consumption. Unlike other parts of Xi's ethics campaigns, the mass line speech has been covered by Xinhua and the more official papers but largely ignored by the commercial (but also state-owned) press. On Tuesday evening, there was no story about it on the front page of either the liberal Southern Weekend or the conservative (and People's Daily-owned) Global Times. Clearly signaled but not entirely explained, the mass line represents an interesting phenomenon of how CCP leaders' management methods are implemented after setting incredibly vague goals. It's an extreme form of an American management theory called "management by objectives" – Chinese presidents often describe grand goals and then say nothing about how they are to be achieved. I've gone into this at length before, but I believe this to be a strategy for managing an enormous bureaucracy with little to no effective oversight. The main tool Beijing has for controlling low-level officials is establishing the metrics for promotion – so next year's annual work reports are clearly going to have long sections on mass line education. In the meantime, we should start to see rash policies designed to pad out these reports. There are growing indications that Xi Jinping’s campaign is not finished yet.